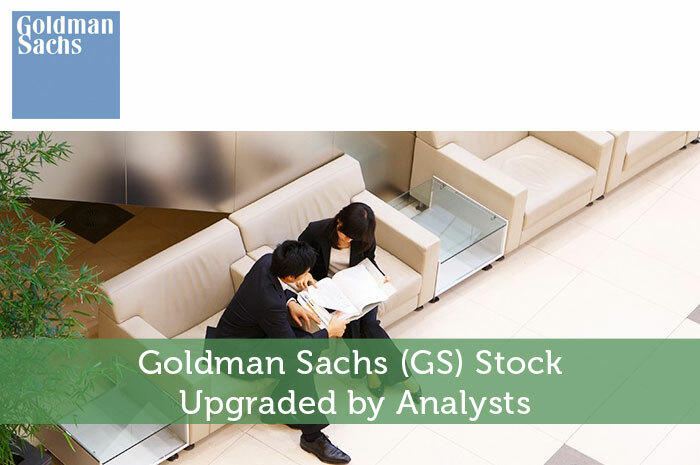 Goldmans Sachs Group (GS)’s stock was recently upgraded by analysts at JP Morgan (JPM) from “underweight” to “overweight,” which gave the stock a slight boost last week. Over the past 4 quarters, the company has reported 1 positive, 2 negative, and 1 in-line surprises. Out of the current 24 analysts covering Goldman Sachs, 4 rate it a “strong buy,” and 7 give it a “buy.” Meanwhile 11 analysts rate it a “hold” and 2 give it an “underperform” rating, which puts the average rating at a buy. This also means that most professional analysts have an either neutral or positive outlook for the stock. In fact over the next 12 month period the average price target GS is expected to reach by analysts range from a high of $245/share to a low of $150/share. The average sentiment is at $245 per share which would be a 30% increase from the current stock price today. However according to a Thomson’s Reuter stock report the banking sector as a whole is underperforming the rest of the broader market. From a score of 1 to 10 with a higher score being better the average earnings rating for the investment bank & brokerage services industry, which Goldman Sachs is a part of, is 4.7 and the S&P 500 index average is 6.3. The next time Goldman Sachs is expected to report earnings will be on April, 19 before the open. Analysts expect $4.50 earnings per share, down 24.24% or $1.44 from last year’s $5.94 per share. GS’s profit will be $1.99B for 8.13 price to earnings ratio if the estimated $4.50 EPS plays out. After $4.68 actual EPS reported by Goldman Sachs Group Inc for the previous quarter, Wall Street now forecasts negative EPS growth. Some people are fans of silver, while others are more bullish on gold. I guess you could be either ore. 😉 Personally I think both precious metals will perform well in the long run. Goldman Sachs may be correct with its short term forecasts. Gold could very well drop to $1000 next year, but since the U.S. Central Bank has told everyone that it has a mandate to set a steady rate of inflation at 2% every year, I believe gold will not stay at $1000 for any extended period of time. Goldman Sachs Group is probably trying to cover its own short position. Either that or it wants to increase its position in gold so its trying to talk down the price of gold in the markets before it purchases more at a cheaper price. About the Company: The Goldman Sachs Group, Inc. is an American multinational investment banking firm that engages in global investment banking, securities, investment management, and other financial services primarily with institutional clients. The Company is a global investment banking, securities and investment management company that provides a range of financial services to a diversified client base that include corporations, financial institutions, Governments and individuals. The Company has four business segments: investment banking, institutional client services, investing and lending, and investment management. This author has no positions in Goldman Sachs and does not plan to open any positions in it for at least 72 hours after publication of this article.